Can you believe that December is here!! I’m in denial as I haven’t done much shopping yet and I’ve still got cards to make!! To finish off the Mystery Box Challenge, I have a few more projects to share. 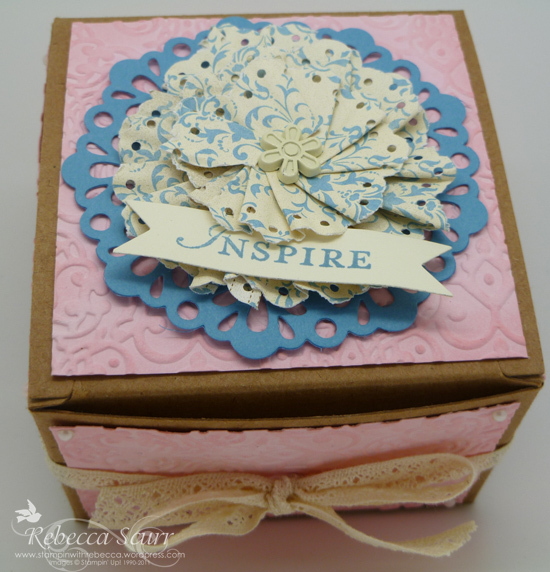 For the month of August, we just had to include 6 pieces of 6″ x 6″ patterned paper. As Beau Chateau retired at the end of August, I have included 6″ pieces from the Birds of a Feather DSP from the current catalogue. I think it’s one of my new favourites!! September – 5 gift cards in assorted styles. I made matching envelopes using the diagonal plate for the Simply Scored. Too easy!! October – Food/chocolate container. 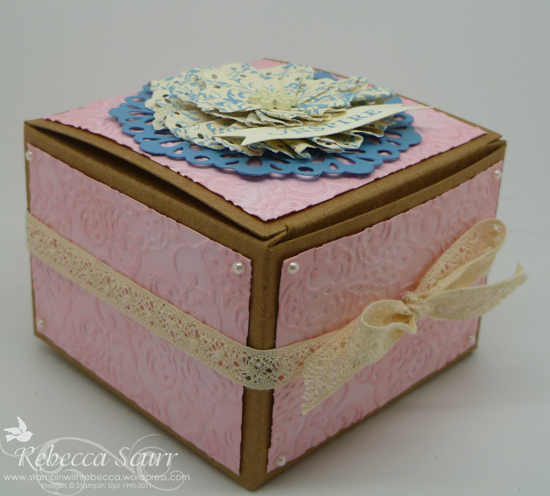 I used one of the Kraft Gift Boxes which is an easy way to create a quick gift. I’ve filled it up with Favourites!! 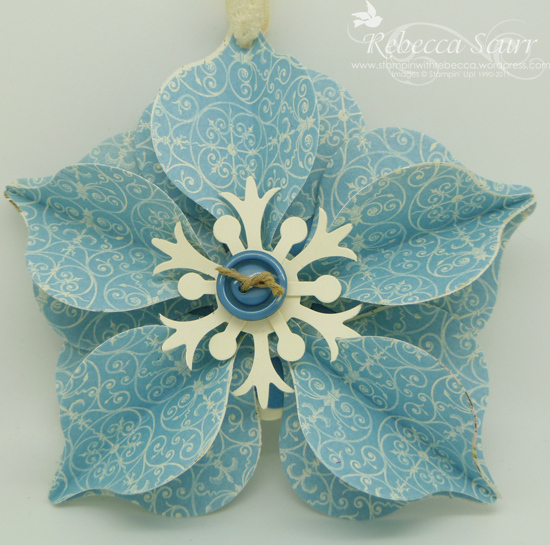 November – Hand made Christmas decoration. Well, this wasn’t a hard one to do. 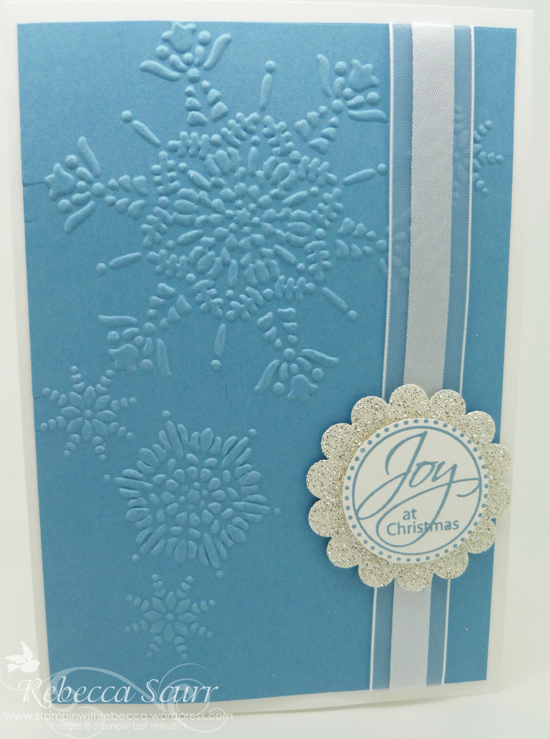 I used the Holiday Ornament framelits and Beau Chateau DSP and topped it off with a couple of snow flakes. Love it!!! 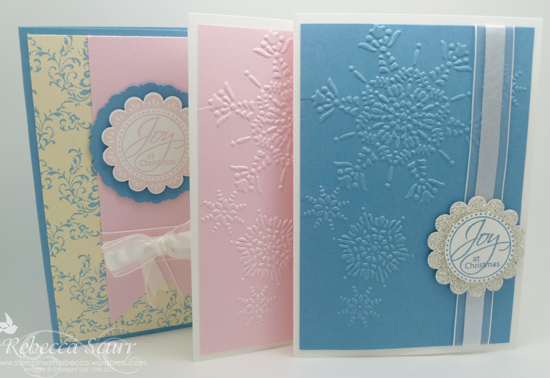 December – 3 Christmas cards including envelopes. One of these is for my lucky recipient from me!! I hope she enjoys everything that I have made, I’ve enjoyed making it.